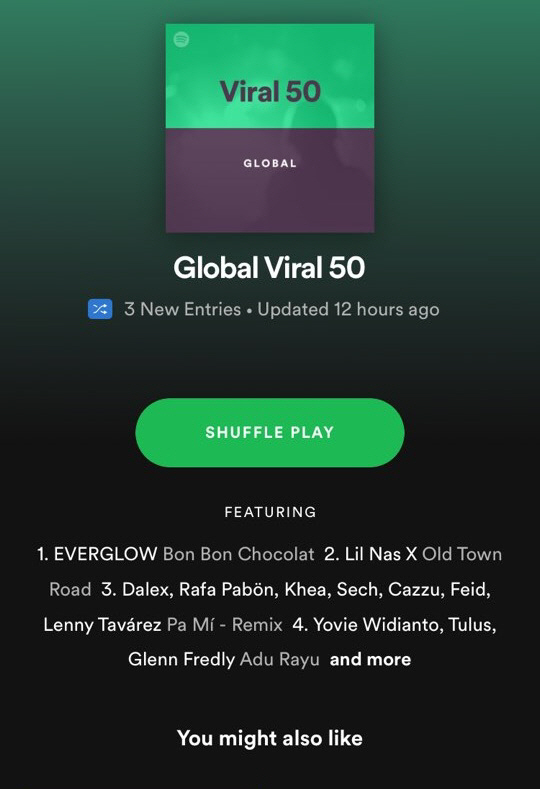 EVERGLOW won the top spot on the Sportifi Global Viral 50 chart, mesmerizing fans around the world. On the 15th (Korean time), EVERGLOW's debut title track "Bon Bon Chocolat" showed off its power to become No.1 on the global viral 50 chart of the global music streaming site Spotify. This is amazing considering they literally just debuted. The song is really good! Everglow and Yuehua came to slay!